One of the lesser-known horror anthologies of the 1980s, 1986’s Deadtime Stories is a title of which I’ve been familiar for years, but it took me a long time to actually get around to seeing it. And because of the film’s long history of botched home video releases, the versions I’ve been able to watch in the past haven’t been of the best quality. As a result, I had an unfair opinion of the movie. 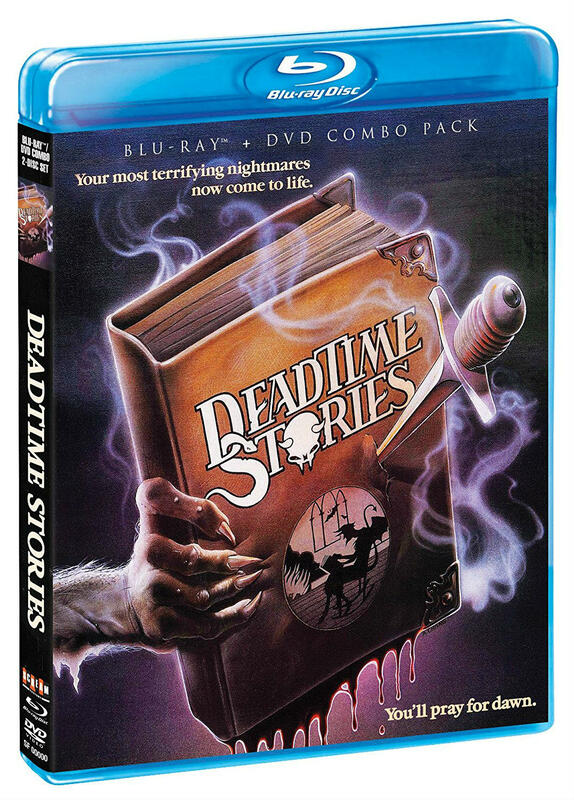 Thankfully, Scream Factory has put Deadtime Stories out on Blu-ray for the first time and allowed me the opportunity not just to revisit it, but to revise my opinion. It’s more fun than I gave it credit for. The first of the movie’s three segments is “The Black Forest,” the story of two witches who take a young man (Scott Valentine of TV’s Family Ties) as their slave while they attempt to find a virgin to sacrifice so they can resurrect a third sister. The second story is an update of Little Red Riding Hood that recasts Red as a sexually active teenage girl and the Big Bad Wolf as a drug addict who requires medication to stave off his werewolf transformations. You can probably guess whether or not he is successful on the night in which we find him in Deadtime Stories. The third and final tale reimagines Goldilocks and the Three Bears, only here the three bears are a family of criminals (led by a young Melissa Leo as the matriarch) and Goldilocks is a telekinetic serial killer. Oh, and the whole thing is played as comedy, in case you haven’t guessed. Unlike most horror anthologies, the three segments that make up Deadtime Stories are pretty consistent. There’s no standout stinker in the bunch—but then there’s no clear winner, either. It’s an anthology that’s basically just okay the whole way through, improved by a lightness of tone and a healthy sense of humor. That sense of humor actually overtakes the movie, eventually; I’m not sure why director Jeffrey Delman structured the anthology this way, but it gets sillier and more broadly comic as it goes. By the third and final segment, “Goldi Lox and the Three Bears,” Deadtime Stories has gone full-on goofy cartoon, complete with accompanying sound effects. We can’t take anything in the movie seriously at that point, which seems to be what Delman is after. It’s not like the first segment is all that serious, though. Beginning with the wraparound, in which an annoyed uncle reads the supposedly scary stories contained within the film to his nephew at bedtime, Deadtime Stories lets on that it’s not going to take itself all that seriously. But the “Black Forest” segment does seem more interested in playing like a traditional horror film than the other stories. It feels like the longest of the segments (a supplemental feature that presents it as its own 30-minute short film proves as much), the centerpiece of which is a very cool, very goopy regeneration effect not unlike the one Clive Barker would show one year later in Hellraiser. That’s the practical effects centerpiece of the movie, created no doubt on a budget by Ed French, but no less impressive in its execution. Such a showstopper is the scene, in fact, that the rest of the film is mostly devoid of effects; by the time Deadtime Stories has to stage a werewolf transformation, it appears that the regeneration sequence has already used up many of the movie’s resources. There isn’t much gas left in the tank and the film is only halfway done. Again, none of that stuff really matters. It has more than its share of rough edges, dumb jokes, and clumsy moments of filmmaking, but Deadtime Stories wants nothing more than to show us a good time. It’s mostly successful. Each segment is different enough in content and tone that it doesn’t feel repetitive, and there’s enough imagination to the whole endeavor to keep it fun. It’s the little touches, like a jokey alternate ending to “Black Forest” (after the nephew isn’t satisfied with the original) or the choice to make Goldi Lox telekinetic, which has little bearing on the plot, but adds an element of fantasy to a segment that otherwise exists in the real world. That’s the stuff that makes me smile. Scream Factory rescues Deadtime Stories from years spent in budget DVD releases and a mistaken case of public domain with a new Blu-ray that offers a good-looking 1080p transfer and a host of solid bonus features. There’s a new commentary and an on-camera interview with co-writer/director Jeffrey Delman, plus a retrospective featurette that includes new interviews with stars Scott Valentine, Cathryn de Prume (who plays Goldi Lox), and Academy Award-winner Melissa Leo, who wins the “great sport” award for agreeing to be interviewed about this mostly-forgotten little horror movie she made 30 years ago. Also on hand is the original 30-minute short film cut of the three witches story, plus a collection of deleted scenes, a gallery of production and promotional art, and the original theatrical trailer. A standard definition DVD copy of the movie has been included as well. Deadtime Stories isn’t great, but it’s really entertaining and the kind of movie that makes me so fond of ’80s horror. There is imagination and creativity on display. There are cool practical effects and a sense of humor. The tone is one of fun above all else. 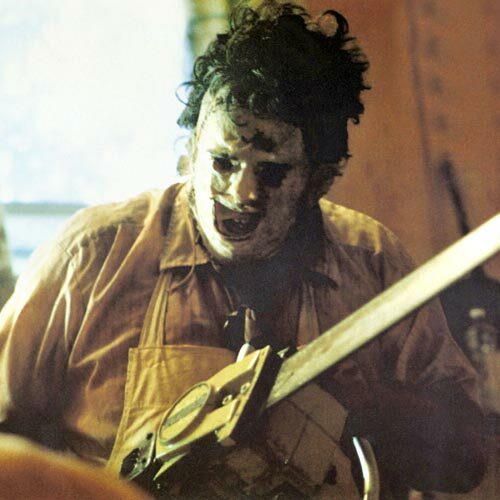 These are all characteristics that were at their peak in the ’80s, so while Deadtime Stories may not represent the best that horror has to offer, it does successfully represent the best and most fertile period the genre has ever known.